Plug in and go. 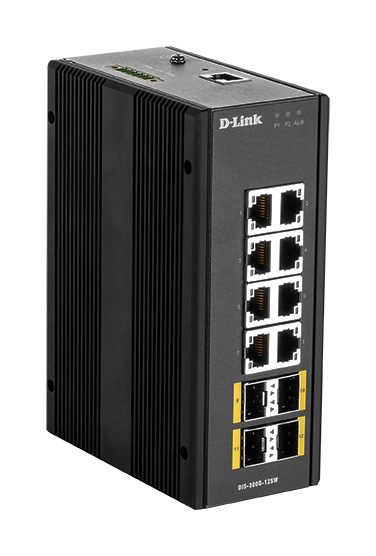 The DIS-100G-5W reliably forwards Ethernet frames. 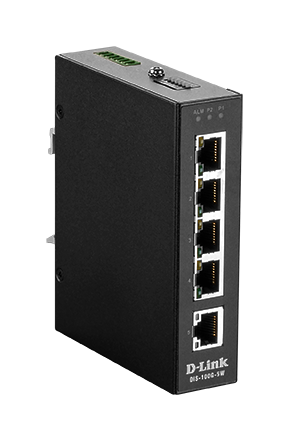 Designed with 5 x 100/1000Base T ports to suit your network layout. 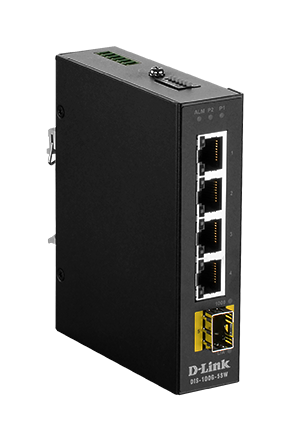 Certifications for vibration, shock, free-fall, NEMA‑TS2 Section 2, and electromagnetic compatibility to maximise network uptime in a variety of deployment environments, including smart city surveillance, factory automation, and outdoor wireless networks. Operates effortlessly in a range of industrial and harsh environments in temperatures from -40°C to +75°C, and can cold start from -40°C. 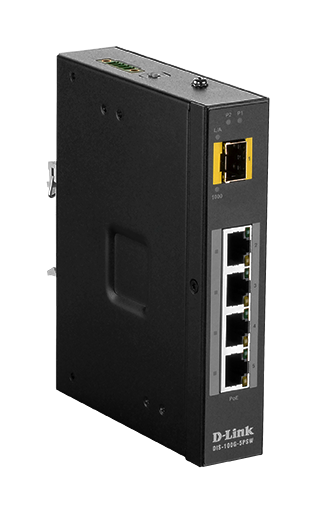 The tough housing has been created to keep your network protected and reliably rugged. 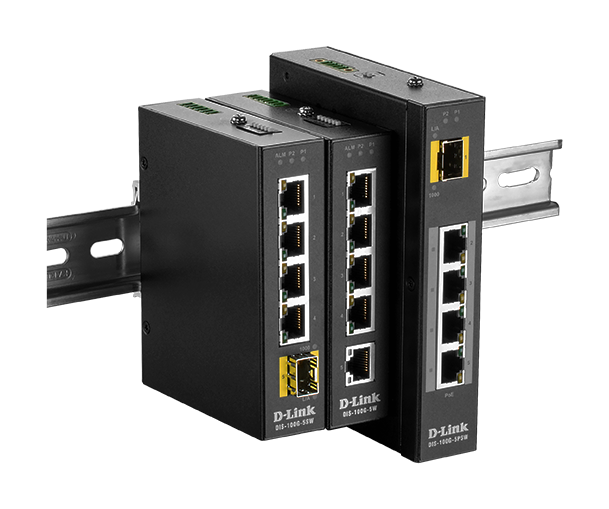 That’s why every DIS-switch comes with a 5-year D-Link warranty. For instant installation it features a snap-to-DIN-rail clip, and also supports wall mounting. With no moving parts inside to reduce downtime and maintenance call outs, the rugged housing has been optimised for the transfer of heat. Small but mighty. To make the most of cabinet space, it measures: 112.2 x 29.1 x 89.4 mm.